The crane plant shall be equipped with all electrical equipment, including motors, controls, and wire tubes. 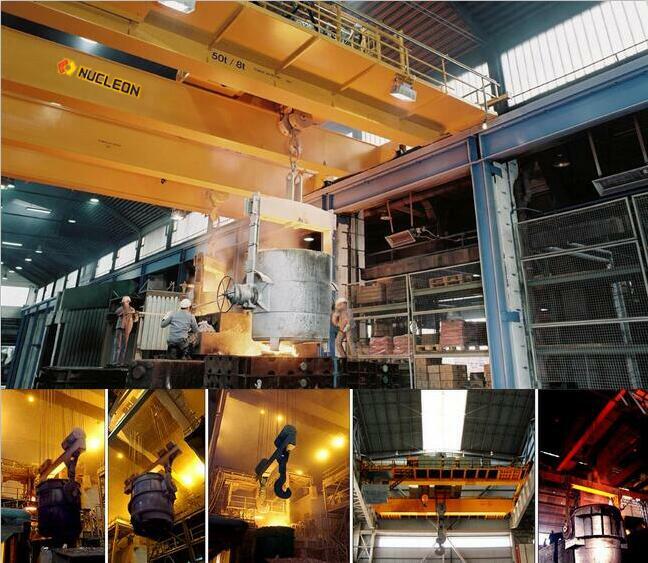 All the wires and cables on the crane shall be supplied by the metallurgical overhead crane manufacturer. The crane manufacturer shall clarify the name, parameters, and form of the motor, brake and control device, as specified in the drawings or specifications, in each institution. Equipped with electric equipment should have high mechanical strength, and can withstand various overload and frequent start-stop work. And should be easy maintenance. General should be adopted ac drive and communication control system, Under frequent or poor working conditions,Using ac drive dc control system.For large cranes allow adopt ac drive and dc transmission at the same time, The control circuit of the system adopts AC power supply,Appropriate USES isolation transformer power supply voltage 220 v. DC power supply, the general use of 220V voltage, the contactor should use a single coil and DC dedicated solid core. When choosing electrical equipment and wires and cables, the working environment temperature shall be determined according to the actual situation of installation location. When necessary, the supply and demand sides through consultation to determine. Appropriate USES standard crane electrical control equipment. Such as special needs, also can be designed by the manufacturer. Crane set resistor appropriate USES standard products, such as special needs, can also be designed by the manufacturer. Control equipment generally USES linkage control console or upright controller, when necessary, also can use wireless remote control or button control. Other electrical equipment and components should be chosen crane dedicated or meet the demand of crane products. Electrical products should have production license or model certificate of use and product certification. The new product shall be provided with technical conditions, type test reports and complete identification documents. When using high voltage motors and electronic control equipment, The supply and demand sides negotiate special orders.